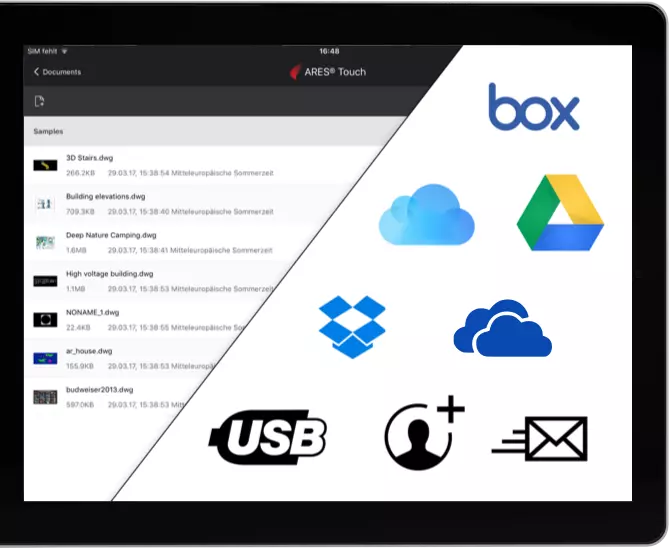 ARES Touch is the most complete CAD solution ever seen for your mobile device. 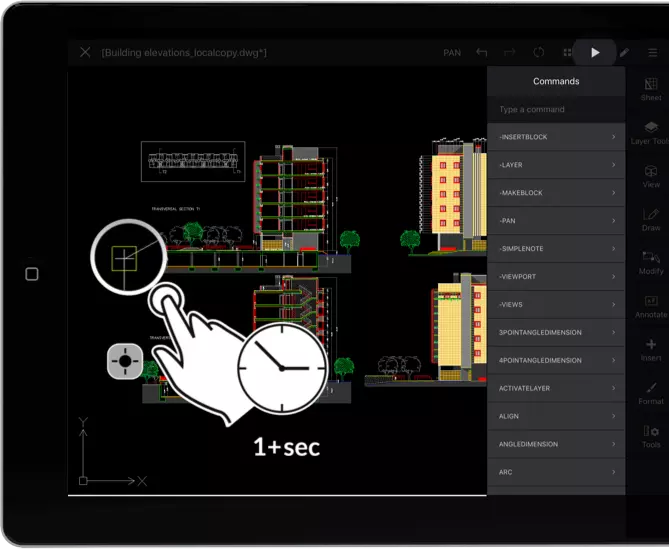 Create and modify your DWG drawings on tablets and smartphones with a complete set of 2d drafting and annotation commands at hand. 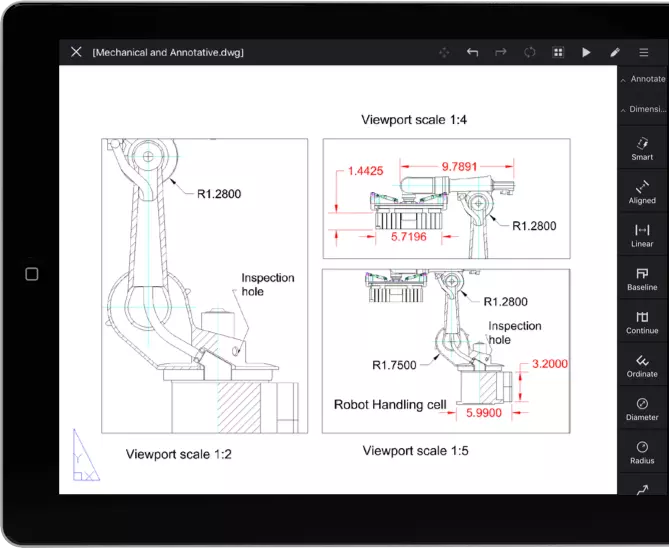 Its a full-featured Mobile CAD App that fits into your pocket and the perfect companion to quickly review a drawing shared in the cloud or received by email while on the go. ARES Touch is bundled with ARES Commander and ARES Kudo through our ARES Trinity of CAD licensing.Instead of a single product, you’ll get access to our full-featured CAD ecosystem. Smartphones follow you everywhere. With ARES Touch on your smartphone your drawings follow you in your pocket. 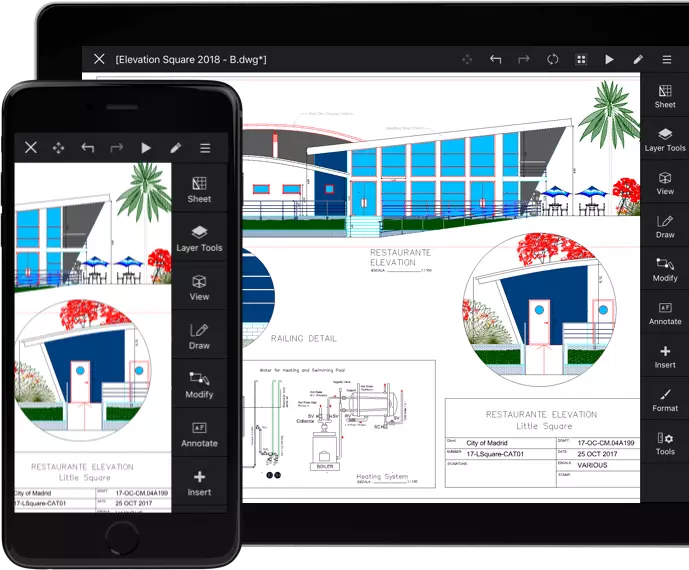 It makes it very easy to read a DWG file you just received by email or to access your drawings saved in the cloud. While the screen is smaller, ARES Touch makes it easy for you to share feedback with the office with dimensions, pictures taken from your camera or by recording your voice. Tablets offer a larger screen. Unlike with a laptop you can carry them with one hand and switch them on very fast. They perfectly replace printed papers to meet customers or work on site. You may even connect them to a screen or video projector for interactive presentations. Their larger screen makes it also very easy to create or modify drawings. A good example is surveying or maintenance activities that typically require to check and comment technical information on site. We believe you deserve much more than a viewer with limited editing capabilities on your mobile devices. You will probably use computers, smartphones and tablets for different tasks but should not be limited in features. We built an intuitive touch user interface to become the natural extension of your favorite CAD software. It has been redesigned for touch but is very intuitive for any CAD user. Your files can easily be synchronized with common cloud storage services such as Dropbox, Box, iCloud or Google Drive & OneDrive. While these files are synchronized with the cloud you can still “Take them for offline use” if you anticipate you may not have constant Internet access. Alternatively, you can save them locally on the device. This may be important for example if your company has strict policies forbidding the use of cloud storage services. The most complete CAD app ever seen for mobile. Get all the power to create and modify your drawings on the go. Discover in our video how the loupe, entity snap, tracking and coordinates input help you to draw with the same precision as on the computers. Comment your drawings with pictures taken from the camera of your mobile device and text legends. Record your voice and insert it as a comment in the drawing to share feedback or highlight something. These comments will be synchronized with the drawing and appear with clickable symbols. They are automatically inserted on a specific layer that can be therefore shown or hidden as needed. ARES Touch includes a full set of dimensioning tools. Unlike on printed papers or PDF files, it makes it easy to measure distances, angles or simply annotate drawings. With FREESKETCH you can redline something or write with your finger. It is just like if you had printed the drawing and were using a pen. This feature makes it very easy to share feedback on the go without any CAD knowledge: Just launch the command, pick a color and write or sketch something. ARES Kudo nests inside ARES Touch as well as ARES Commander and allows you to sync your files across devices utilizing cloud storage data backup. Drawings stored in the Cloud storages connected to ARES Kudo can be modified locally in ARES Touch or ARES Commander. Modifications on the DWG file will be synchronized automatically with your cloud storages as soon as you save them. If there is no Internet at this time it will simply synchronize later when it gets back. This way you can start your project with ARES Touch and continue it with ARES Commander or vice versa. 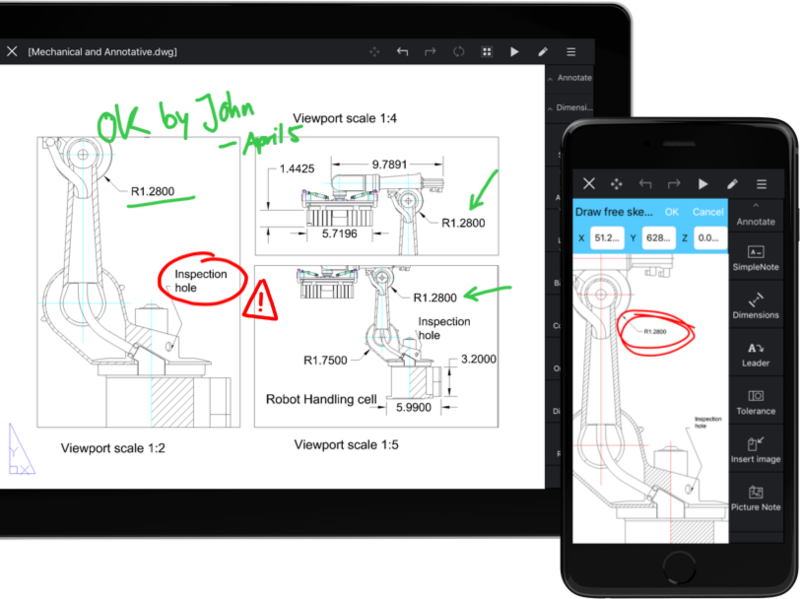 You may for example use ARES Touch to read a drawing sent by a colleague and share instant feedback with annotations taken on site. Your colleagues could instantly get the update in ARES Commander at the office and keep working on the project. 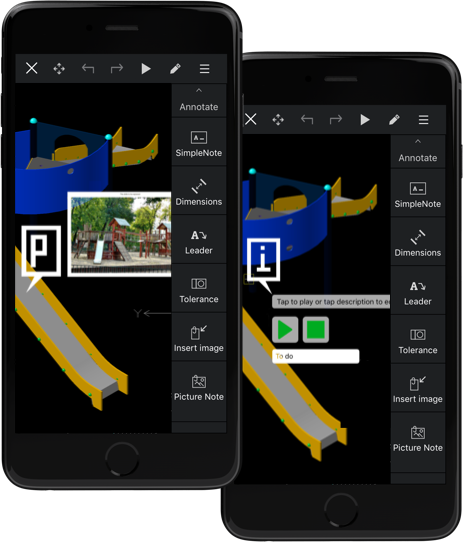 With native DWG support and a full set of 2D drafting features ARES Touch has the full power the developers can need to build vertical applications. Mobile CAD is more than Mobile. It is about integrating mobility in a CAD workflow. As a development platform ARES Touch can help to add agility in integrated and paperless CAD processes. The API of ARES Touch makes it easy for developers to migrate solutions initially developed for computers. It supports Lisp, C++ and DCL. As these languages are also supported by ARES Commander and ARES Kudo it gives you also the freedom to use a similar core across desktop, mobile and cloud devices.